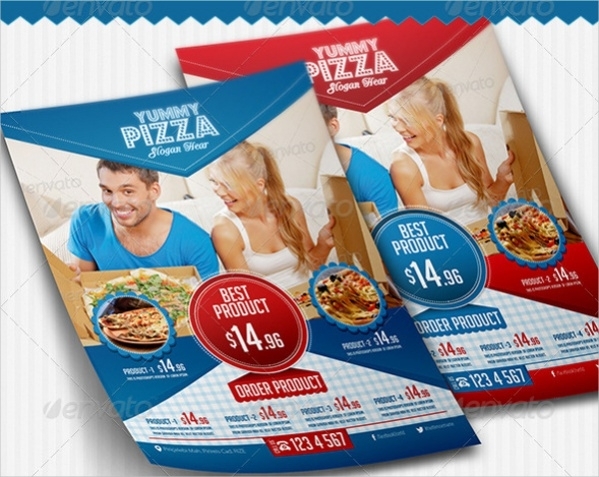 Flyers have always been effective promotional tools for restaurants and eateries. It’s not only about branding but also a great platform to feature special offers, discounts, and menus. 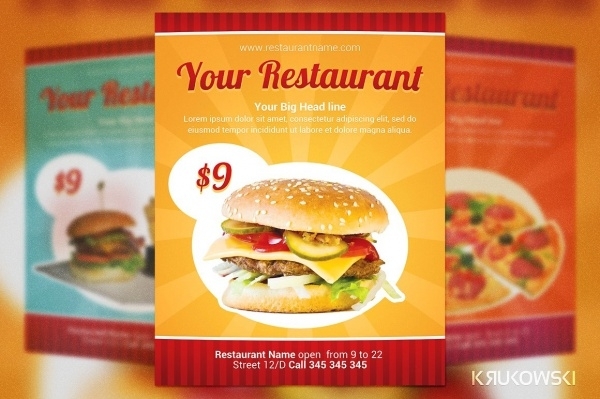 There is a lot more that you can include in a restaurant flyer, depending upon your requirements. 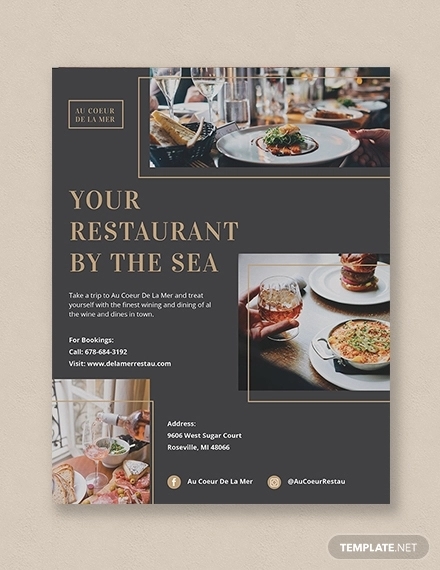 For ages now, eateries and restaurants across the globe have been counting on flyers to announce their presence and they still are a very effective medium of communication. 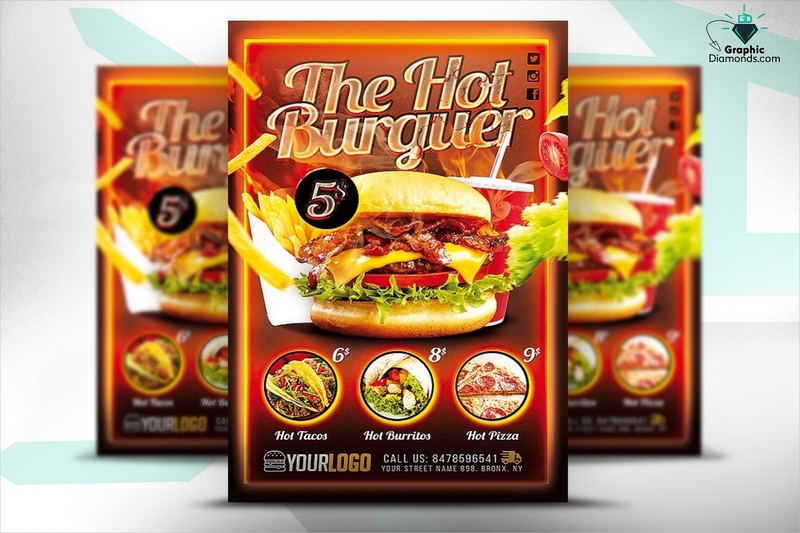 Well, here are some incredible Flyer Design Templates that you can use for your business. 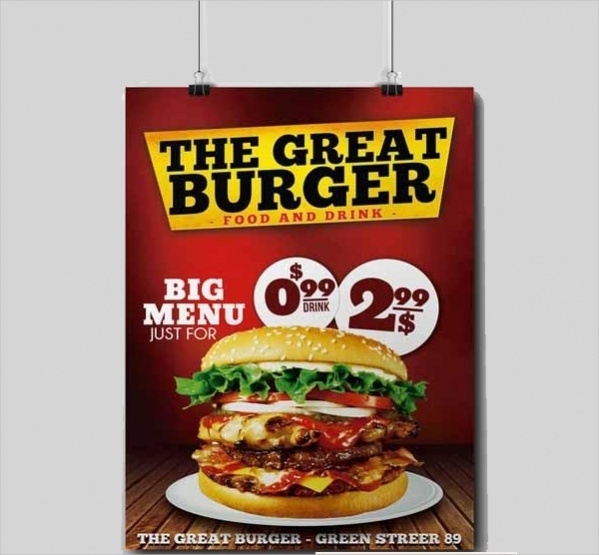 Looking for ways to make your fast food joint more prominent in the crowded neighborhood? 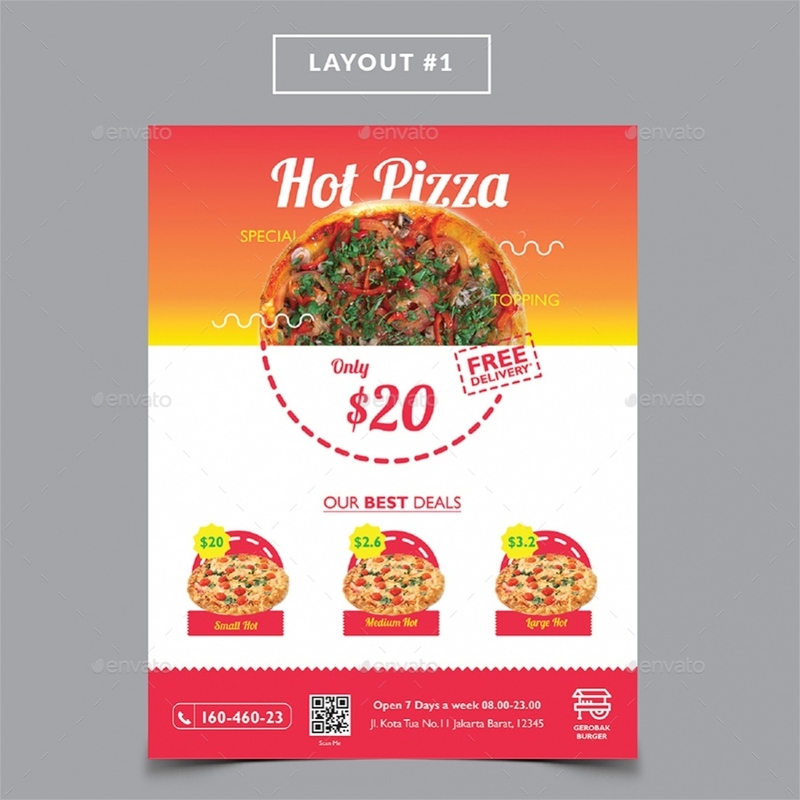 This bright and bold flyer design would be able to serve the purpose perfectly! You may also see Cookout Flyers. 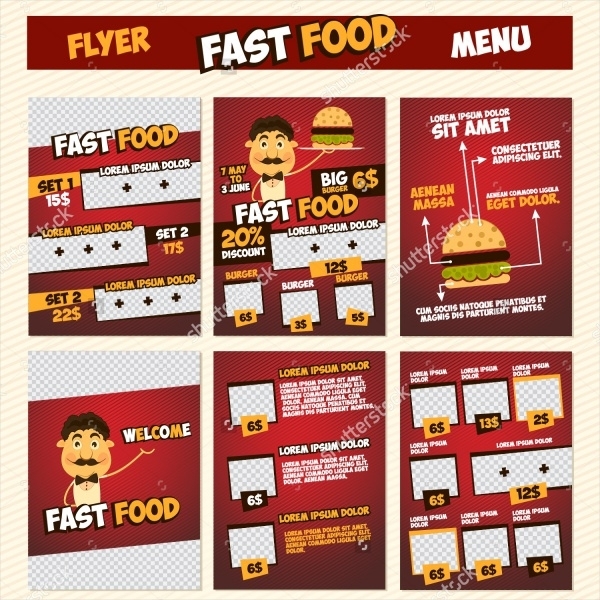 Offered as a promotional design, this fast food flyer template is completely customizable. Consequently, you can give the design a makeover for any situation, be it a regular day at work or a special occasion. 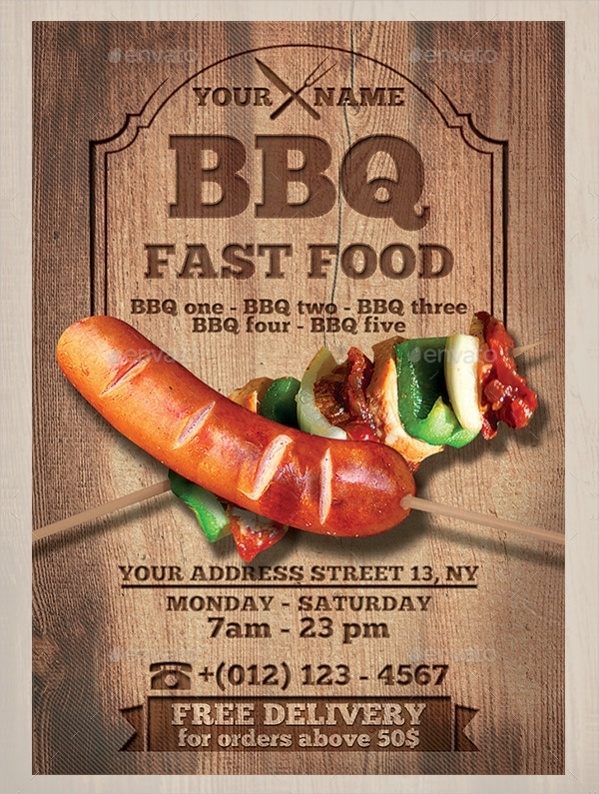 A beautiful flyer design, this material has been made to look delicious! Just put in your brand name and place it in a location where the maximum number of people get o see it!You may also see Food Drive Flyers. 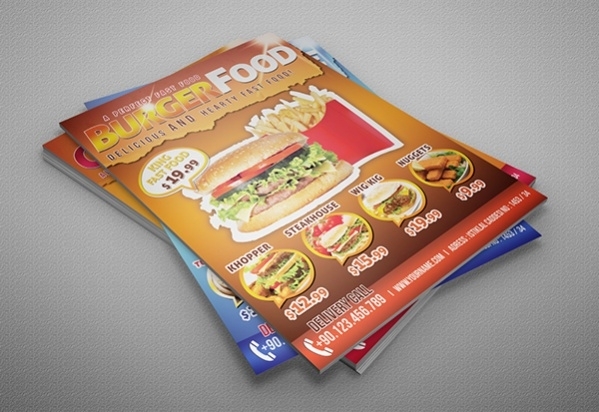 Flyers are probably the most inexpensive and profitable marketing deployment for fast food joints and restaurants. 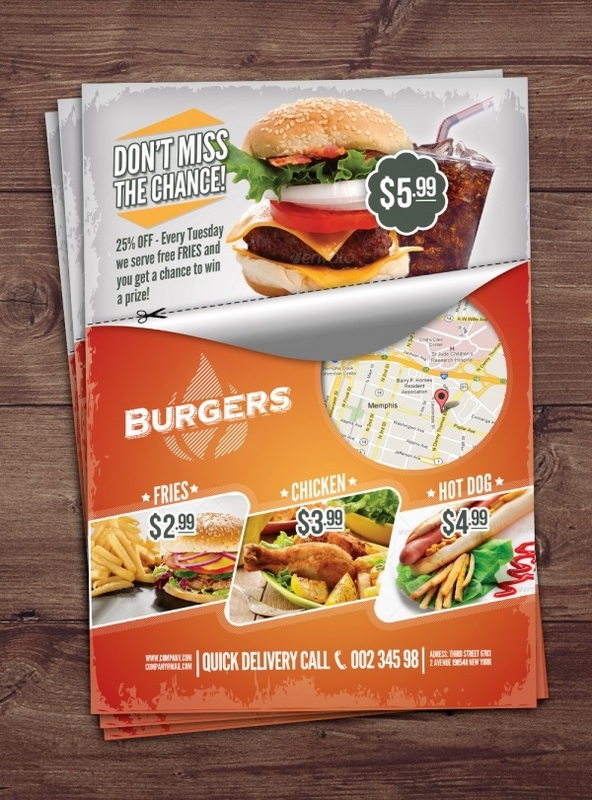 If you are opening one, use this design to show what’s on offer!You may also see Burger Flyers. 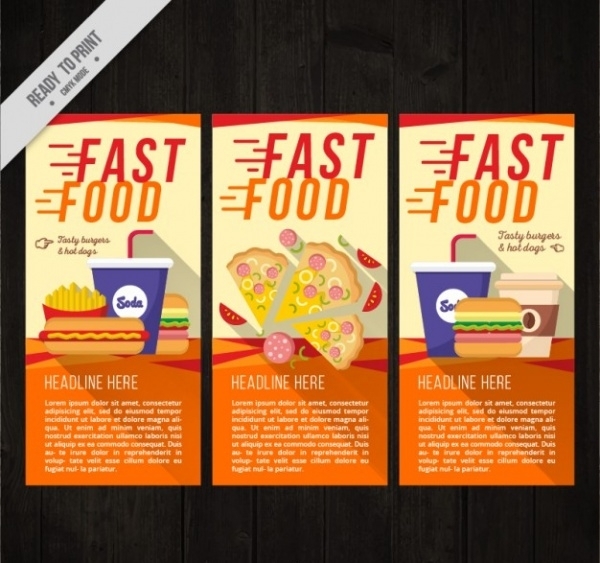 Looking to promote your fast food restaurant all across the city? 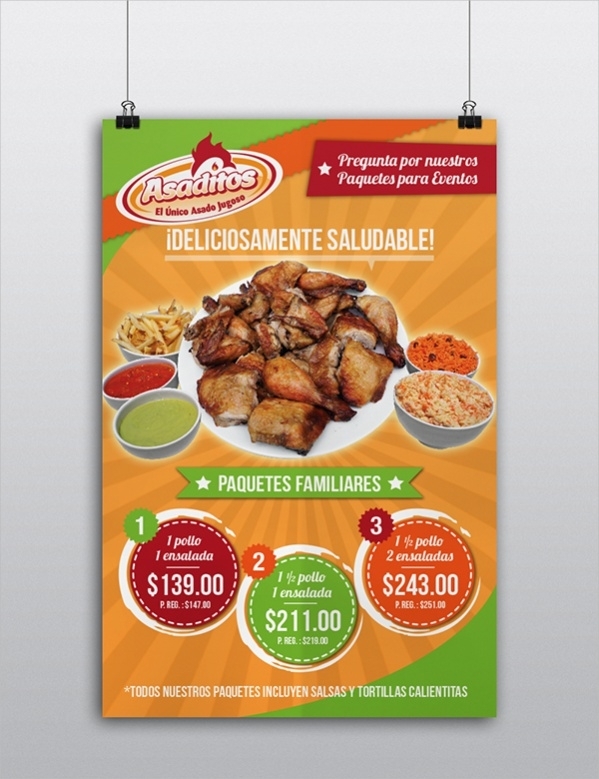 Use these A4 flyer design and customize it for profitable brand recognition. 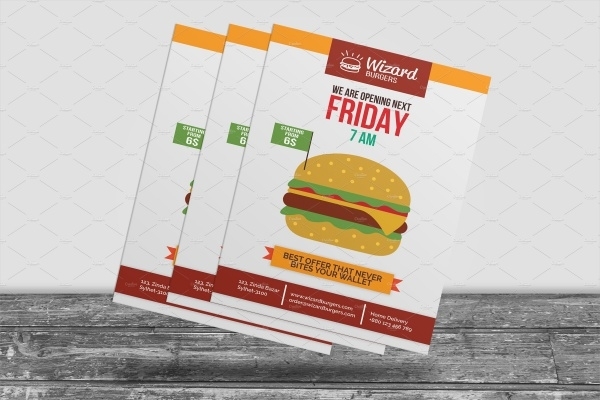 A flyer can be a great way to announce your menu and even add specials each day. Put this flyer on a portable stand and you will be able to manage your orders more efficiently. 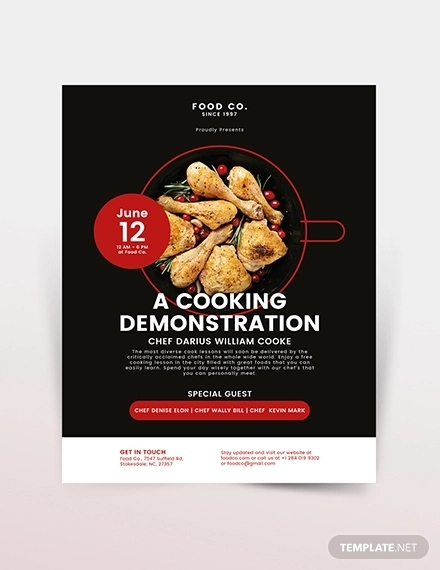 This flyer design can be put to multiple usages – be it for the menu or announcing some special food event at your restaurant. Easy to edit, flyers like this are probably the most cost-effective marketing tools. 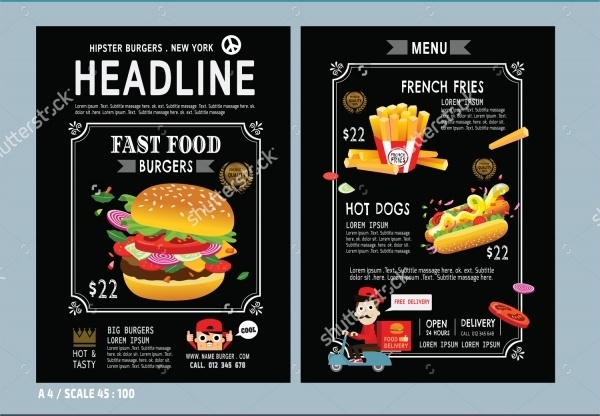 Here comes another beautiful and delicious looking flyer design template that can be used by any kind of fast food joint or restaurant. Print several and place it across your fast food corridors for maximum reach. 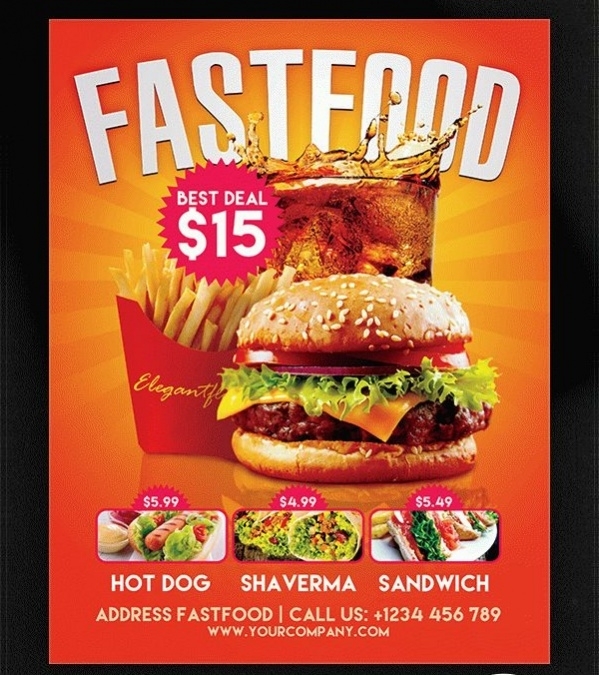 This is a print ready fast food flyer design, announcing the presence of your business in any busy neighborhood. 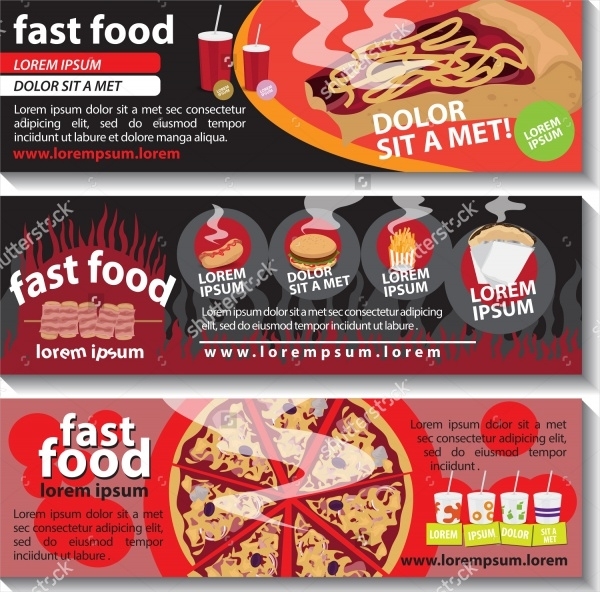 Just customize your restaurant name and print out in a strong sheet of flyer material. 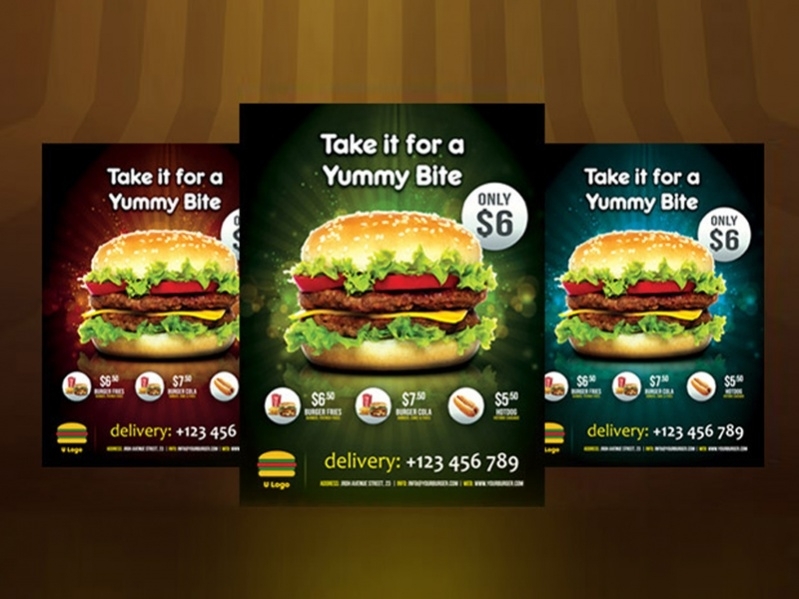 In this case, the graphics used in the flyer design are photorealistic and lets the audience know what really on offer. 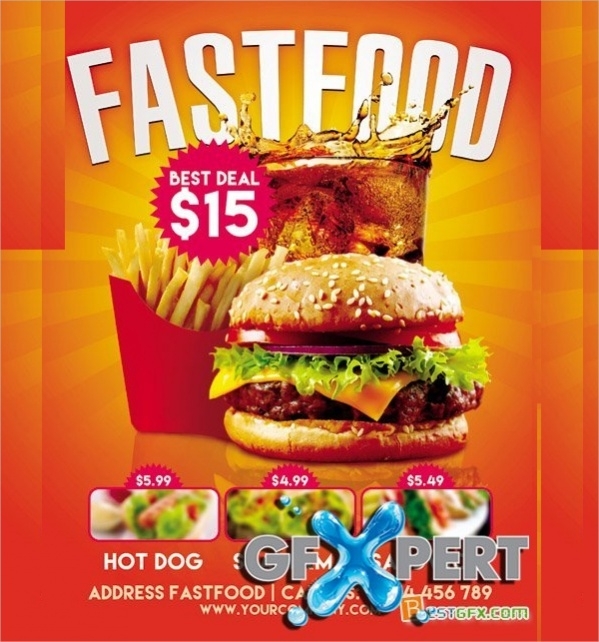 The visual picture plays a great impact in how we taste foods and this is what this flyer does. Looking for something retro in flyer design? This template offers a unique picture and takes you back to the ages when fast food restaurants were the food sources of the working class! 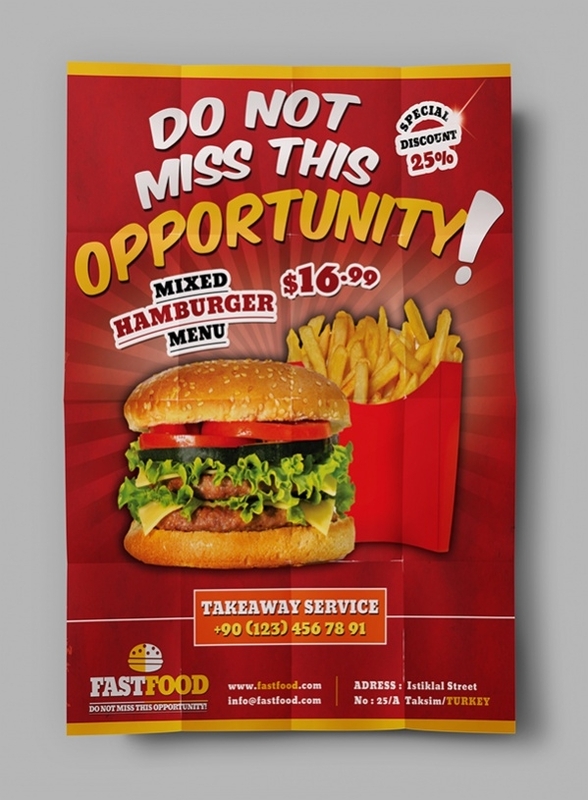 This flyer design can be applicable to both fast food pamphlets and even big hoardings. As such, they can be used in both regular days and special occasions to mark your address. Everyone loves a bit of BBQ every often. Well, if you run a restaurant of it, it will be very profitable to announce your ready to savor BBQ! 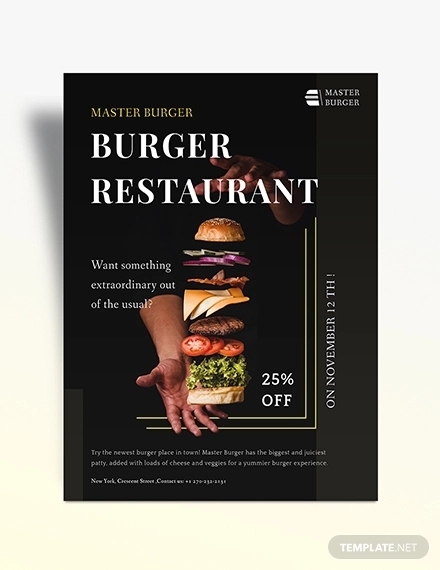 This is another unique flyer design template that comes in very high resolution and can be applicable across all kinds of print advertising. Customize it well and announce your presence to the world! This design has been made to look very colorful and vibrant to attract the attention of maximum people. Make sure that your food lives up to the standard of this flyer! 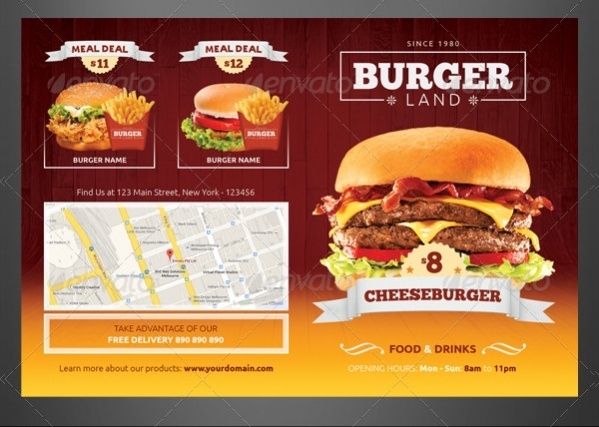 All the above fast food Flyer Templates are offered in high-resolution PSDs and PNGs and will make your promotional work a lot easier and cost effective. It takes more than good food to announce your presence, especially when you are running a fast food joint. 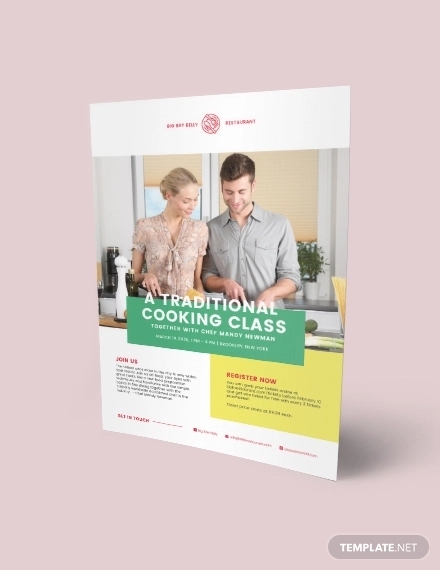 We believe that these flyer designs will help alleviate your popularity in the neighborhood.